I haven't seen any of the new series yet unfortunately but I heard the finale was actually pretty good. I liked most of the new season so far. 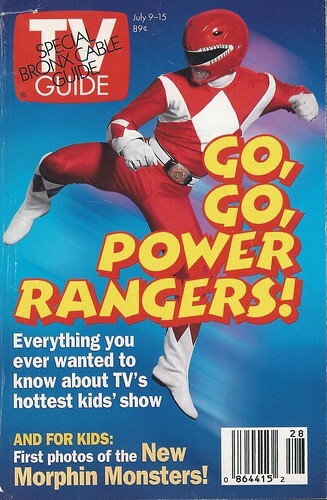 With some really good episodes and one episode that was, at least in my opinion, quite daring. But it's Lynch & Frost and they only made the season for TP fans anyway. They clearly didn't care about getting anybody new to watch the show and I like that. However, in terms of tone it's much more FWWM than season 1 and 2. IT WAS A WORK OF ART sorry I'm late to the party I always forget this sub forum exists. I can't wait for the TP BR release, because I immediately felt like I need to rewatch the season. So much seemed simply unimportant and just quirky for the sake of it at first, but in hindsight turned out to be so important. I haven't been this interested in TV show theories since LOST ended. Yeah I'm thinking about doing a full rewatch of Seasons 1 and 2, FWWM, and the Return pretty soon. I did however watch FWWM again before season 3 started, since Lynch (or Frost) said it's important for the season and it really was. I've seen seasons 1 and 2 three times but I'll gladly watch them again. And yeah, FWWM was definitely important for this season. Did we ever have an ongoing Anime thread in this forum? I feel like if we want to post about anime we have to use this thread if it's a TV show or the Movies thread if it's a movie. What if it's a movie based on a TV show? I'm curious about idol anime and wonder if anyone's ever done a survey of all the idol anime shows. 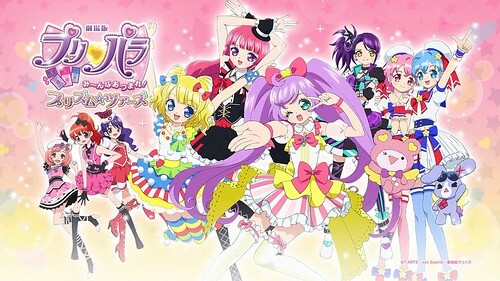 I have some series like Fancy Girl Lala and Full Moon o Sagashite and episodes from a few others like Kirarin Revolution and Kaleidostar, but I wondered if there was a comprehensive list and evaluation of them. I ask because I watched a series called "PriPara" when I was in Japan and last week I picked up the 2017 movie spin-off of the series, "Pripara the Movie: Everyone Shine! Kirarin Star Live," and watched it last night. It's 65 min. and quite harmless. If you're going to do an idol concert in animation, this is, I guess, the way to do it. I enjoyed it despite the lack of subs., not that they would have made much of a difference. The musical numbers (16 in all) seem to have been modeled on actual idol dance movements. A couple of the songs stood out as being good, while most were standard stuff for this kind of thing. I was struck by the garishness of the design. The frames were often way too busy and with seriously clashing patterns. There must be a word for that. It definitely induced eyestrain at times. I'm thinking of doing a blog entry, but I wanted to research the subject more and maybe watch a few more things like it. The design in this poster for the PriPara movie is relatively restrained, compared to images from the film itself. When I get some screen grabs, I'll post them. "Love Live! School Idol Project" and "Love Live! Sunshine" are my go to idol shows, especially for that Hello Project feel. Love Live has 2 seasons and a movie, and the second season of Sunshine is airing now. Everything but the movie is on Crunchyroll. I did post all of my recent Ghibli movies opinions in the Movie thread, though. Besides having a former AKB member in the main cast, there's also another reference with the name "Manami".